Gorgeous, aren’t they? They’re pretty big too, so it’s always a treat to come across one at my porch light. Anyone else seeing woolly bears/woolly worms around recently? Oh yeah, under almost every rock I find ones ready to pupate. 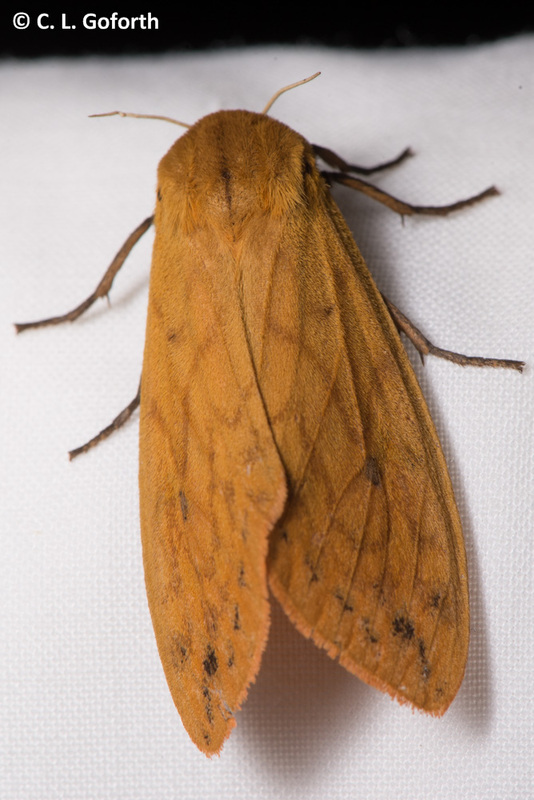 The wingspan is typically over 2 inches in these moths. They’re not huge, but they’re definitely on the larger size as moths go. Thanx, I’ve always wondered what they turned into. You’re welcome! Glad I could help out. Oh my goodness, I had no idea those cute little guys turned into such a pretty moth! Thank you for the pic and info! You’re welcome! Aren’t the moths gorgeous?